Some Green Drake mayflies begin to emerge from the nymphal shuck before they reach the surface of the water. This is where the Green Drake Emerger is at its best. it can be fished as the upper fly on a Euro nymph rig, or as a wet or damp fly using a green drake dry fly as a strike indicator. This fly is gaining popularity, both in the Pacific Northwest and the rocky Mountain states. 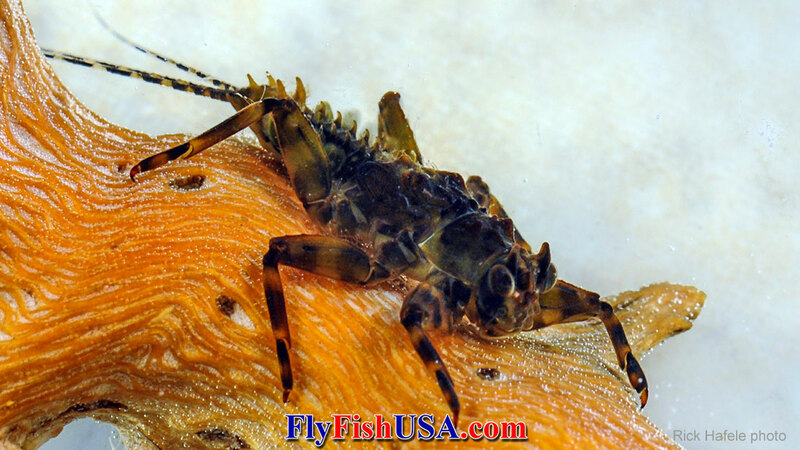 The body is wrapped with a turkey biot feather which gives a very realistic, segmented look to the abdomen of the fly. Since this is the part of the body that most heavily impacts the surface of the water, it is highly visible to the trout. It is slightly more durable than bundled deer hair bodies of the extended body paradrake flies. Quigley's FIlm Critic, Green Drake, surface emerger flyWestern Green Drake Mayflies often emerge just below or in the surface film. Often dry flies are not as productive as emergers. The Quigley's Film Critic is often the best fly for fishing a Green Drake Myfly hatch. Yup, it's lighter than water, so even if it gets pulled under by the current, it will float back to the surface. The fly fishes well suspended in the fill or ride on top of it. some anglers like to cut a notch out of the bottom of the hackle so the fly stands straight up on the surface of the water. 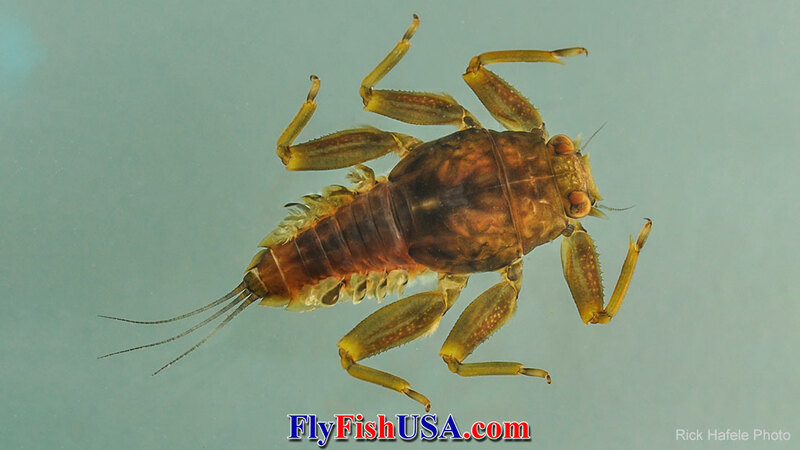 These large insects are "trout candy" on our western streams. 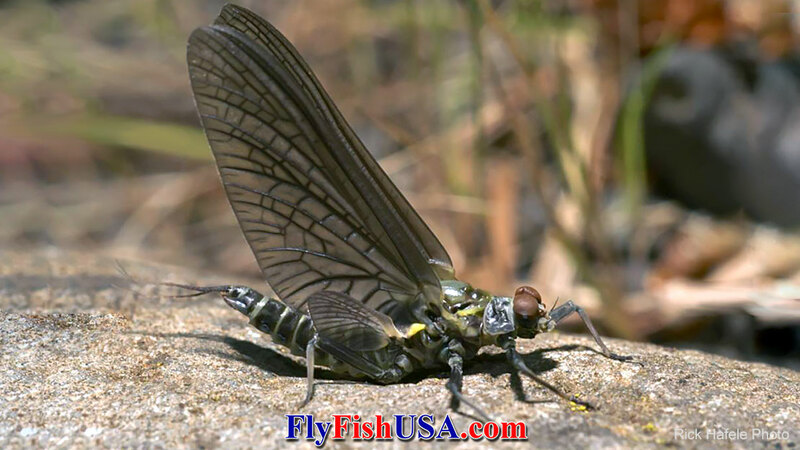 Green drakes are the largest mayflies that provide fishable hatches in our fast local rivers. 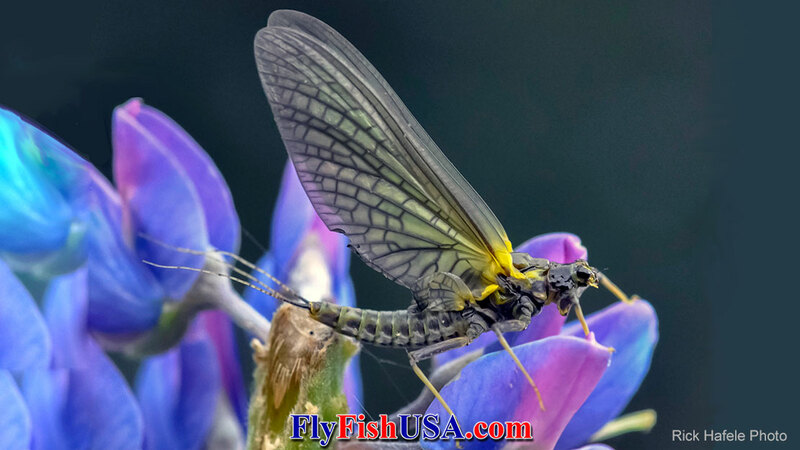 In the Pacific Northwest region, look for them toward the end of the giant stonefly hatches; May & June on most rivers, but some spring creeks such as Oregon's Metolius River has strong late summer hatches as well.. Hatches occur during mid-day and are usually easily visible. Windless, cloud-cover days are best. Green Drakes are large insects and evidently taste really good to trout. When Green Drakes hatch in good numbers the trout forget all other foods and target drakes only. A dense hatch of Green Drakes can bring the largest trout to the surface. But, Green Drakes are fickle and somewhat unpredictable. Some days have heavy hatches others very light. Some regions of a stream will have more insects than others. Green Drake hatches are something that the fully armed angler prepares for, even though it may not be the main target. However, if you ever encounter a major Green Drake hatch and are unprepared you will remember it with sorrow. Pictured below are seagulls targeting a Green Drake hatch on the lower Deschutes River. During mid-day, many of these birds flew past our camp and alerted us that there was something going on upstream. Green Drakes hatch late May through June starting at lower elevations and progressing to higher elevations. Some very high elevation streams are reported to have Green Drake hatches as late as mid-September. Some streams have much heavier hatches than others. Even some parts of glacial and mountain streams have decent hatches, but spring creeks usually provide the densest and most reliable hatches. Green Drake nymphs occur in densest populations where there is a lot of woody debris and clean gravel mixed together. Two subspecies are pictured here: Drunella grandis above and Drunella doddsi below. There are several subspecies Green Drakes that can vary in size from #16 to #8. The largest varieties are called Grandis and the smaller ones are commonly referred to as Flavs. These pictures and text are about Grandis and related sub species, which are commonly tied on hook sizes #8 to #12. Extended body and parachute dry flies are very popular. Green Drakes can actually start changing from nymph to dun during their trip from the river bottom to the surface of the water. Fishing a wet fly, such as a CDC Green Drake Emerger can at times be very effective. Green Drakes produce trout feeding periods on nymphs, emergers, duns and spinners. 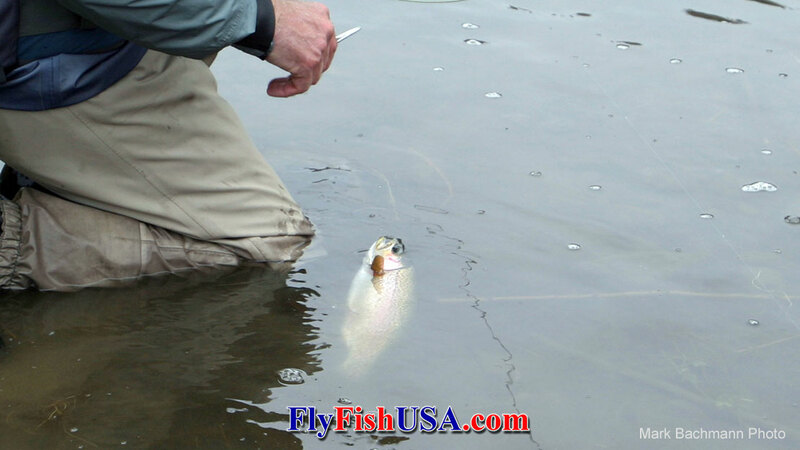 Dry fly action is most sought after. Both naturals and artificial flies are easy to see on the water, by both fish and anglers. The flies are normally easy to cast. Look for action in riffle water of moderate, depth. Flies are best fished with absolutely no drag from your line or leader. The most famous hatches of Green Drakes happen on the Henry's Fork of the Snake River in Idaho. 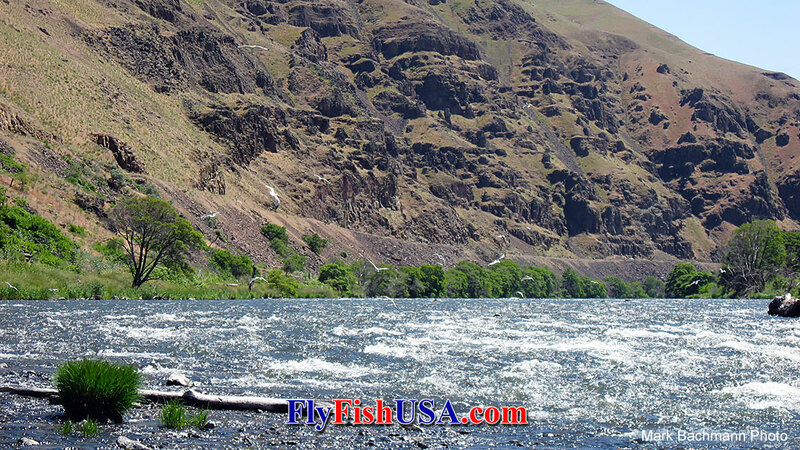 Washington's Yakima River and the Deschutes in Oregon get reliable hatches of Drakes. An upper Deschutes tributary the Metolius has become the most famous Mecca for anglers in the Pacific Northwest that follow Green Drake hatches. Spring creeks and tail-waters provide the best action, but some mountain and valley streams have surprisingly good hatches of Green Drakes, such as the upper Sandy River tributaries. Some sections of very large rivers such as parts of the Willamette have very good hatches as well.